Ready or not, here it comes. 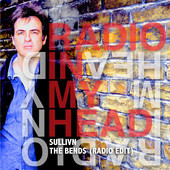 It’s the second single from the Radio (in my) Head project and this time it’s the turn of Sullivn putting their highly individual stamp on “The Bends”. The band are John O’Sullivan (all vocals), Layla MK Kim (piano), Simon Goudarzi (guitars), Sjur Opsal (bass) and Jon Mar Ossurarson (drums). Now, I have to be completely honest here and admit that despite loving Radiohead, I can take or leave the original of that particular song. In fact, I’d rather leave it; if you can imagine Tom Verlaine singing alternately stoned and constipated, that’s how I hear Thom Yorke’s vocal on “The Bends”. This version is a very different beast, opening quietly and intimately with close-up solo vocal and piano before the guitars, bass and drums come thundering in at the end of the verse. 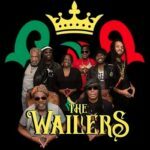 The song, at different times, features funk elements, big distorted guitars, twin guitar parts, hints of late Beatles production and some subtle piano touches throughout. There is a tremendous attention to detail as the vocal sound moves from full and resonant to thin and distant and the guitars play power chords followed by atonal fills. You need to do two things to get the most out of this; play loud and repeatedly. Your neighbours won’t mind. The B-side is a remix of Sullivn’s first single “Come Back”, taking the song down a very different route from the fairly straightforward ballad treatment of the original with a very trip-hop dubby feel of Massive Attack and Portishead and very heavy bass. It’s not quite full on Lee Perry dub, but there’s a lot on interesting things going on there. Possibly even better than the original single mix. So what you get here is a Radiohead cover that’s packed with invention and great performances along with a cracking B-side. I only wish I liked the original more so I could really emphasise how much more I like this version . It’s available from Tuesday October 8 on iTunes.